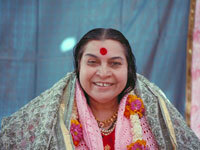 This site contains reviews of Sahaja Yoga Meditation sites and a page with links to all sites reviewed. What a pleasant, helpful surprise, finding this useful collection of Sahaja Yoga related websites. Thanks for this thoughtful (thoughtless 😉 effort! Yes it is wonderful indeed. Can we propose sites for review?